St John Chrysostom died on September 14, 407, at the city of Comana in Pontus, in the north-central part of modern Turkey, while travelling into exile, banished at the behest of the Empress Eudoxia by her husband Arcadius. 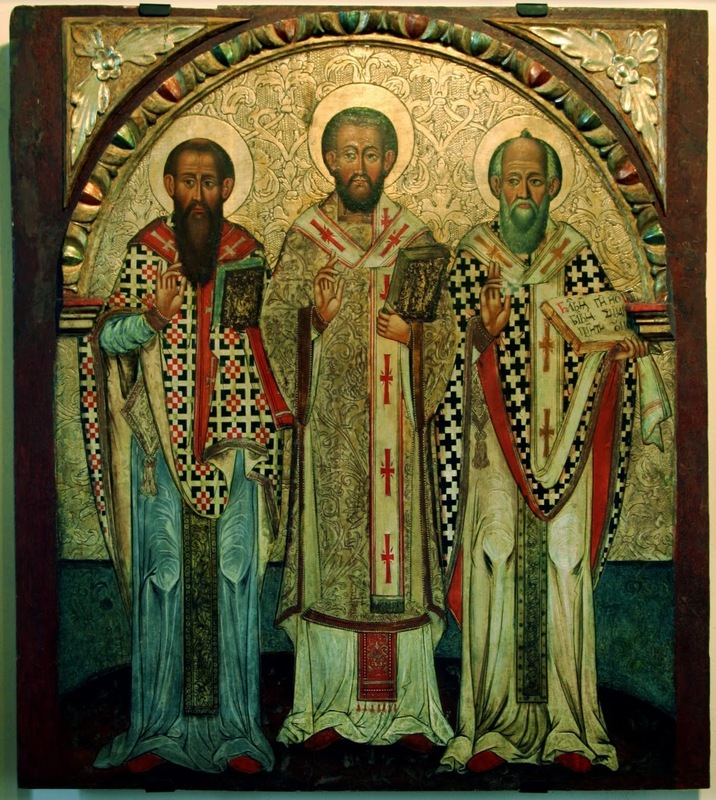 Over thirty years later, their son Theodosius II, as a gesture of penance for his parents’ injustices against the Saint, had John’s relics translated from their original burial site to the church of Hagia Irene (Holy Peace) in Constantinople. Since he died on the Exaltation of the Holy Cross, his feast day was appointed for November 13th, and is still kept on that day in the Byzantine Rite; the Byzantine Calendar also marks the feast of the translation of the relics on January 27th, whence his traditional Roman day. I have a copy of the Hieratikon, a priestly service book for all the main functions of the Byzantine Rite, printed in 1977, an official publication of the Orthodox Church of Greece; in the Calendar, the feast of his Translation is marked as one of a fairly small number of “red letter days,” but the November 13th feast is not.